It’s a big week coming up in the WTCR – FIA World Touring Car Cup presented by OSCARO with the Circuit de Barcelona-Catalunya hosting two days of official testing from 28-29 March. The two-day test marks the first time in 2019 that the majority of all-season WTCR / OSCARO racers will be on track at the same time. 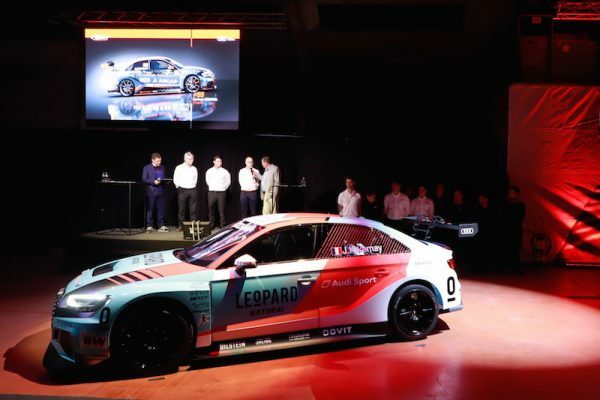 It follows the 2019 WTCR Media Launch in central Barcelona on Wednesday evening. Click for full story. Tiago Monteiro is taming the legendary Nürburgring Nordschleife not once but twice in 2019. Venue for WTCR Race of Germany in June, the 25.378-kilometre circuit is also home of the VLN Endurance Championship, which began with a four-hour counter, the 65. ADAC Westfalenfahrt, last Saturday. Click for full story. J SPORTS will continue its live coverage of the WTCR – FIA World Touring Car Cup presented by OSCARO in 2019. The home of motorsport in Japan, J SPORTS will broadcast live race action from the WTCR / OSCARO events in Morocco, Germany, Japan and Malaysia, where the season super-finale takes place from 13-15 December. Click for full story. The wraps have come off the two Audi RS 3 LMS Gordon Shedden and Jean-Karl Vernay will use to challenge for the WTCR – FIA World Touring Car Cup presented by OSCARO in 2019 (pictured). Click for full story. 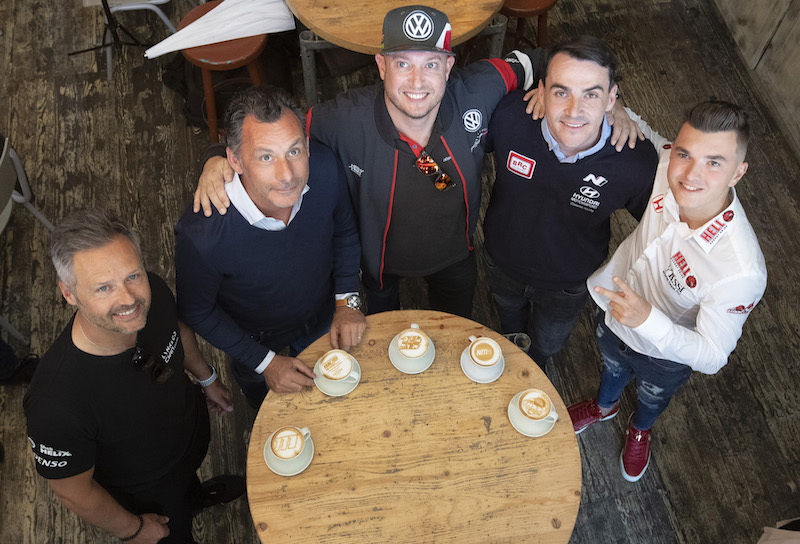 Norbert Michelisz and Gabriele Tarquini will continue their hugely successful partnership in the WTCR – FIA World Touring Car Cup in 2019. They have been paired together for a second season running and will compete under the BRC Hyundai N Squadra Corse banner. Click for full story. This is how the BRC Hyundai N Squadra Corse Hyundai i30 N TCR racers of Gabriele Tarquini and Norbert Michelisz will look when the 2019 WTCR – FIA World Touring Car Cup presented by OSCARO fires up in Morocco next month. Click for full story. 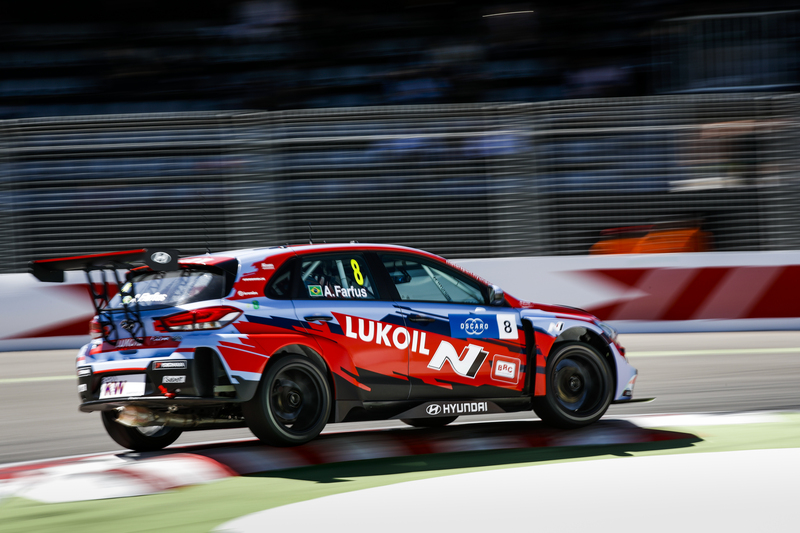 BRC Hyundai N LUKOIL Racing Team has revealed the livery design that will appear on the Hyundai i30 N TCRs of newcomers Nicky Catsburg and Augusto Farfus in the 2019 WTCR – FIA World Touring Car Cup presented by OSCARO. Click for full story. Tom Coronel will be putting on a show in more ways than one in the 2019 WTCR – FIA World Touring Car Cup presented by OSCARO. Coronel is taking on The Showman moniker for the upcoming season and has turned to the circus for helping to inspire his racing number design. Click for full story. Rob Huff is taking on a team management role in 2019 alongside his bid to win the WTCR – FIA World Touring Car Cup presented by OSCARO. The Briton has linked up with Teamwork Motorsport to launch Teamwork Huff Motorsport for a campaign in his national TCR series. Click for full story. Andy Priaulx’s racing number design for the 2019 WTCR – FIA World Touring Car Cup presented by OSCARO has left the Lynk & Co-powered racer feeling “very privileged”. Priaulx, the winner of the FIA World Touring Car Championship on three occasions, will carry number 111 on his Cyan Racing-prepared Lynk & Co 03 TCR, while his number design features a colour of great significance. Click for full story. ICE IS NICE AND THERE’S STILL TIME FOR A KRUSE: WTCR RACER LEUCHTER’S BUSY 2019 IS GO! Benjamin Leuchter will be kept busy in 2019, combining his maiden campaign in the WTCR – FIA World Touring Car Cup presented by OSCARO with a VLN Endurance Championship attack for Max Kruse Racing. As well as racing in readiness for the upcoming WTCR / OSCARO season, Leuchter has been demonstrating his ice-driving prowess at a Volkswagen Driving Experience event in Arvidsjaur, Sweden. Click for full story.